Tourists may be the key to saving the critically endangered hawksbill sea turtle. 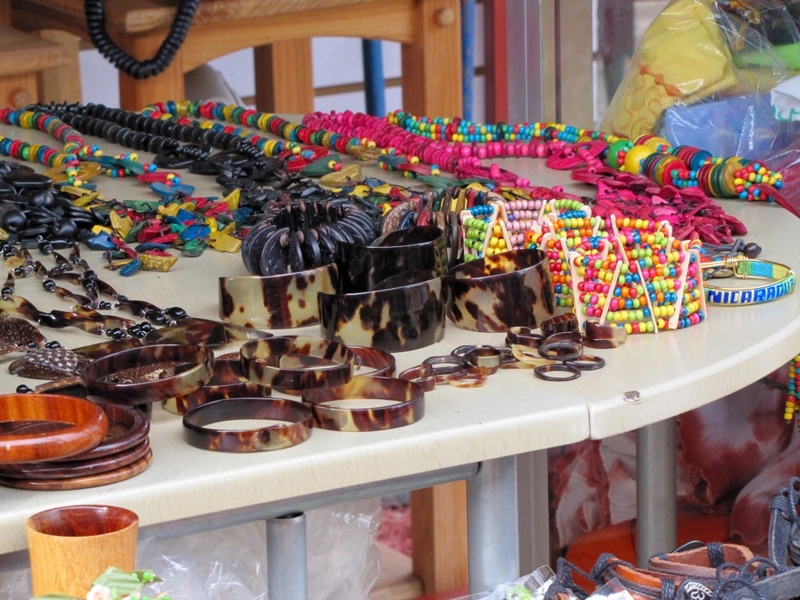 An estimated 15,000 adult females remain worldwide but the primary threat is the traveling public’s demand for jewelry and the bracelets, combs, and trinkets made from the hawksbill’s shell. An important new campaign within the travel industry, “Too Rare to Wear,” is recruiting tourists traveling to the Caribbean and Latin America to inspire them to be part of the solution and help people learn how to avoid buying hawksbill souvenirs (aka “tortoiseshell”, which is a misnomer). These products are surprisingly common in markets and souvenir shops in the region even though they are illegal to sell in most places. In Cuba, hawksbill shell products are available in nearly 70 percent of souvenir shops; in Nicaragua in 90 percent of shops according to recent surveys. A five-year study in Cartagena, Colombia, showed an average of more than 2,000 hawksbill shell items sold per year by a group of vendors. The diverse coalition behind “Too Rare to Wear” educates travelers about these products and how to easily recognize them. Tourism, media, and conservation organizations have begun informing visitors that these products contribute to the possible extinction of an endangered species, that the products are illegal to sell, and that bringing them back into the country could pose problems for the buyer. 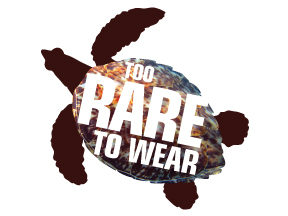 “Too Rare to Wear” unites a coalition of conservation organizations, tour operators and tourism partners, media outlets, and others that support sea turtle conservation and promote ecotourism around the world. Travel and tourism businesses and media outlets are invited to join the campaign and help by becoming sponsors and partners. Details are available on TooRareToWear.org. The general public is encouraged to go online, sign and share a pledge to shop carefully at souvenir stands and avoid any products made of turtle shell, including bracelets, earrings, rings, guitar picks, combs, and fans. “Seeing a wild turtle swimming on a reef or from a beach while helping to release hatchlings is powerful source of awe and wonder. 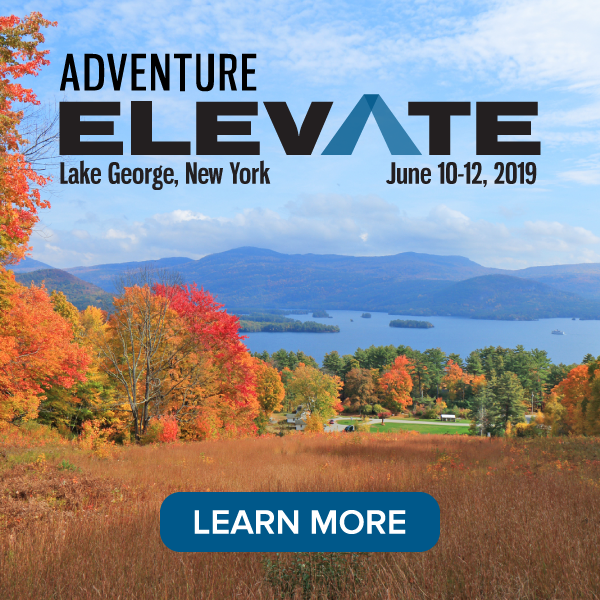 It can inspire future wildlife conservation leaders, promote creativity and artistic responses, and make life a little more wondrous and worth living,” said Wallace J. Nichols, PhD. and Research Associate at the California Academy of Sciences. 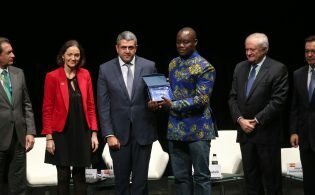 Nichols is the Founder of Blue Mind Life: Reconnecting People to Water and author of the national bestseller: Blue Mind (Little, Brown & Company). As of early 2017, the world’s tropical beaches host 15,000 remaining nesting female hawksbill sea turtles – that is, if they survive. Market forces targeting female hawksbills are outrunning conservation efforts to save the species and its coral reef habitat. This species is found in tropical and sub-tropical waters of the Indian, Pacific, and Atlantic Oceans. They occupy coral reefs, rocky areas, lagoons, mangrove estuaries, oceanic islands, and shallow coastal zones. Though distributed widely around the globe, this species is listed as critically endangered by the IUCN, with the largest numbers of nesting females found in the Caribbean Sea, representing some 20-30% of the total global population. Adult hawksbills weigh in around 150-200 pounds (45-90 kg) and reach just 2-3 feet (~.5 to 1 meter) in length, making them one of the smaller sea turtle species. Considered to be the most beautiful of sea turtles owing to their colorful shell, which helps to camouflage them in coral reefs, this beauty has also led to their severe decline. It’s estimated that in the last 100 years global hawksbill populations have declined by a staggering 90 percent. Their shell is covered in colorful gold, brown, orange, and reddish streaked overlapping scales (also called scutes) which can be polished and carved to make jewelry, trinkets, and other embellishments. Commonly referred to as tortoiseshell, or ‘bekko’ by the Japanese, hawksbill shell has been highly sought after for centuries and millions of them were exported from around the world to Japan until the legal international trade was ended in the early 1990’s. 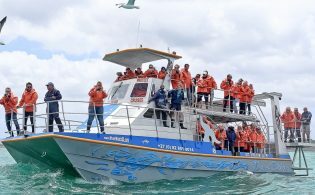 Riding on the backs of endangered hawksbill sea turtles and other ocean life is the viability of a recreation industry centered on coral reefs worth well over $10 billion annually. Only a small handful of marine animals specialize in eating sponges, called spongivory, making the role of the hawksbill on coral reefs an important one. By consuming a diet that consists largely of certain species of sponges, they play an important role in the reef ecosystem by keeping sponge populations in check, which allows other species to occupy space on the reef and increases biodiversity. Without hawksbill sea turtles (sometimes called “the engineers of the coral reef”), sponges can overgrow and crowd out vital reef-building corals. And without sea turtles and healthy corals, reefs will not inspire the next generation of ocean lovers and protectors. Too Rare To Wear is a non-profit project of The Ocean Foundation. For more information on the campaign and to pledge support please visit: http://www.tooraretowear.org/. A new video on YouTube also tells the story: https://www.youtube.com/watch?v=EDFS63Wc3pQ.